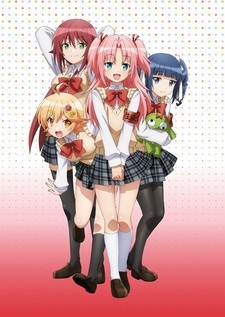 Summary: Himegoto follows Hime Arikawa, a second-year student at Shimoshina High School. His parents put his name on their excessive debt. Hime is saved by the three girls of his school’s student council. In return for paying off his debt, Hime agrees to their conditions of becoming the student council’s “dog” and spending his high school life cross-dressed as a girl… Yes, that is really what this anime is all about. 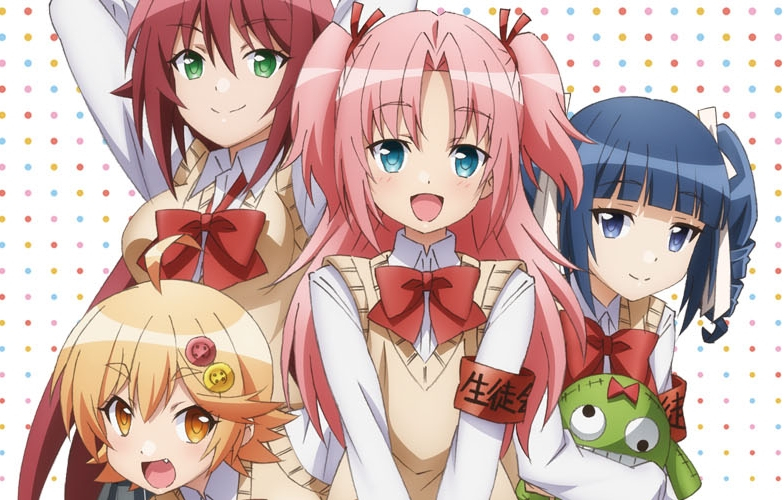 Himegoto is a short-form anime where each episode is only four minutes long. In other words, the entirety of the 13 episode season is less than an hour long. It is a very quick watch that is both humorous and extremely off the wall. I would not recommend it to younger audiences or those that are easily offended. You might enjoy this if: You are in the mood for some really strange comedy. You might not like it if: You want a more traditional anime with a story and character development. Note to the Viewer: There will be at least one time per episode that you will seriously wonder what just happened. This entry was posted in Anime and tagged 2014, 28, anime, comedy, cross, dress, form, fragglepuss, himegoto, review, school, short, summer. Bookmark the permalink.